Follow the quest of Eolkion, a man who is trying to return to his homeland, from which he was exiled. On his travel, he will be attacked by the minions of the Lich King in a desert, so he will have a tough time. In this minigame, you will have to run away from monsters who are trying to stop your way. Furthermore, you will also try to gain some chests in your path. With six randomized tracks and fast-placed gameplay, this game will make you try to beat your high score badly. To play it, you need to install the fonts that are in the font folder. 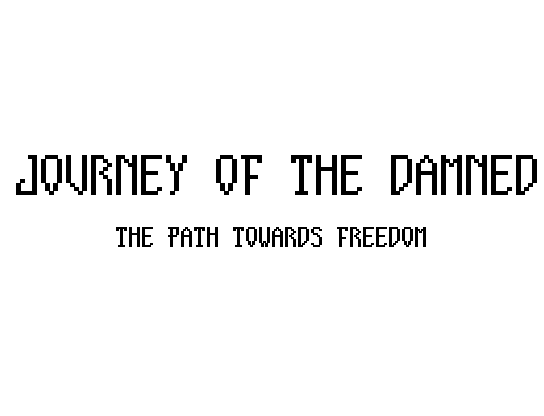 Game's called Journey of the Damned but the title for the page is misspelled Danmed?